Join us for the 10th annual NeoRio outdoor contemporary art and community event! This year, artists and collaborators delve into “Roots ~ Raices,” exploring the theme from various angles – botanical, cultural, metaphorical and beyond. 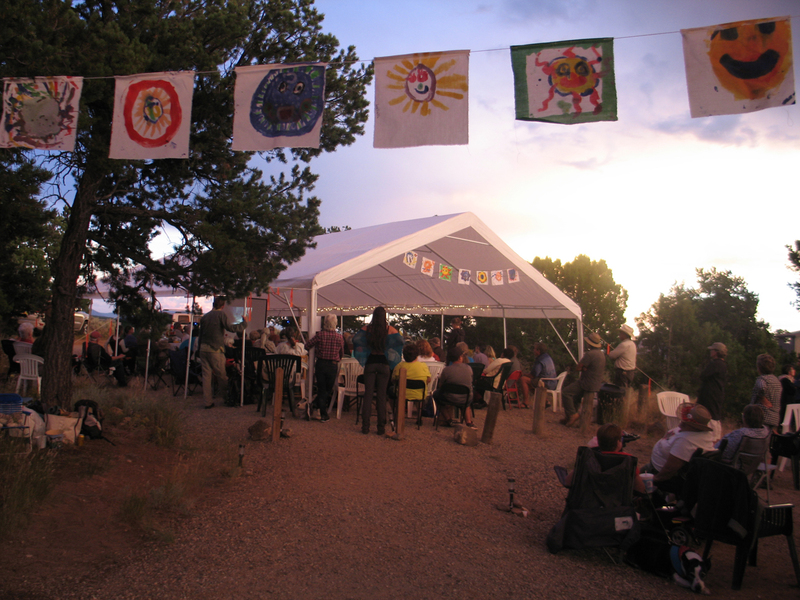 Come discover unique art installations along the rim of the Rio Grande gorge; explore “roots ~ raices” hands-on activities; take in the eclectic afternoon music and poetry salon; and enjoy a delicious, locally-sourced, northern NM fall feast, music, artist talks, an evening campfire and more. Each year at NeoRio participants at Wild Rivers experience the ‘confluence of art and environments’ through the lens of that year’s theme. The combination of contemporary art, wild places and community is a recipe for a fun and exciting event! This year at NeoRio, we are also celebrating the 50th anniversary of the Wild and Scenic Rivers and Trails Acts signed in 1968.